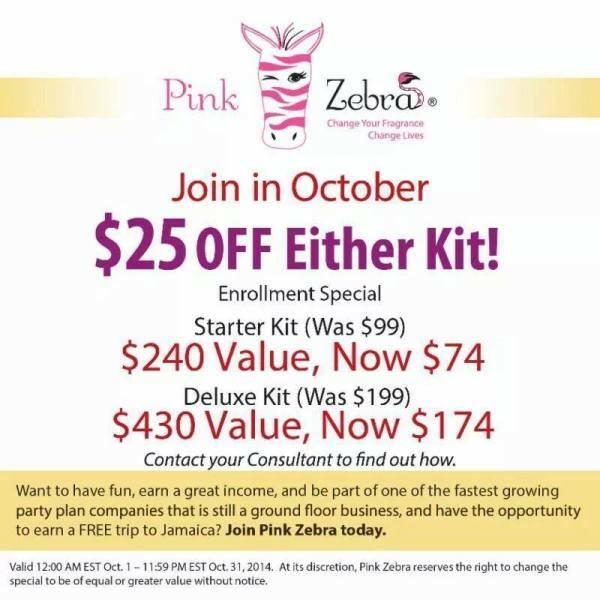 I am very excited to welcome Facebook fans to Pink Zebra!! Looking for more information? Wondering how you can stay at home with your kids and not feel guilty? Or maybe you are wondering how you are going to pay for Christmas this year? Grab a cup of tea or coffee and a snack and enjoy your time browsing the catalog and my website, make yourself at home and welcome to Pink Zebra. Below I have included information about our products you will find helpful. I welcome new customers and am excited to share the opportunity with you to earn free product as a hostess or to earn income as a consultant. Feel free to contact me with any help you may need or with any questions you have, I want to make this the best experience with myself and Pink Zebra you can possibly have. Pink Zebra is an exciting new direct sales company offering soy wax sprinkles for warmers allowing you to make your own personal scents. We also have reed diffusers, kitchen soaps and lotions, and so much more. Use our soy wax sprinkles in your candle warmer, on top of an existing candle, or make your own glimmer candle. Easy to mix the scents and create your own personal fragrance that you love. You can find more recipes on my facebook page. 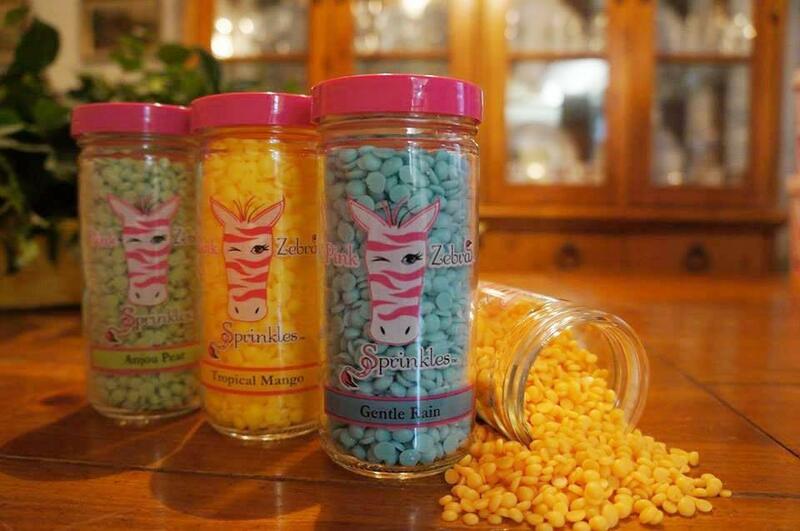 Our sprinkles are made from a food grade blend of soy wax. Because of this blend they will last longer, hold their fragrance longer, and will not harm anyone if they accidently eat them. The soy is from American farmers so you will be buying American! 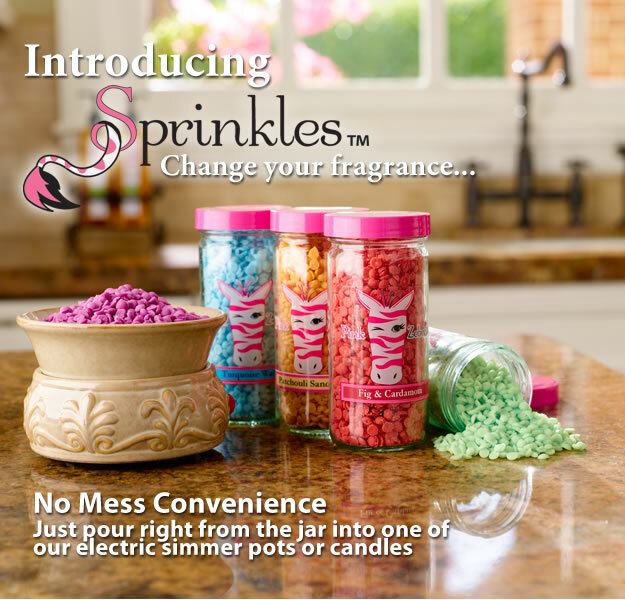 The sprinkle form is fun for mixing and blending the different scents to create your own personal scent. One jar of sprinkles burning several hours a day will last you 30-45 days. The sprinkles may be used in any warmer that you currently have. To start your warmer use a small spoonful of sprinkles and then add more if you would like a stronger scent. Our reed diffusers come with a plastic top that you will save. When your reeds start to dry out simply put the lid back on, tip upside down and re-wet the reeds to make the scent stronger again. 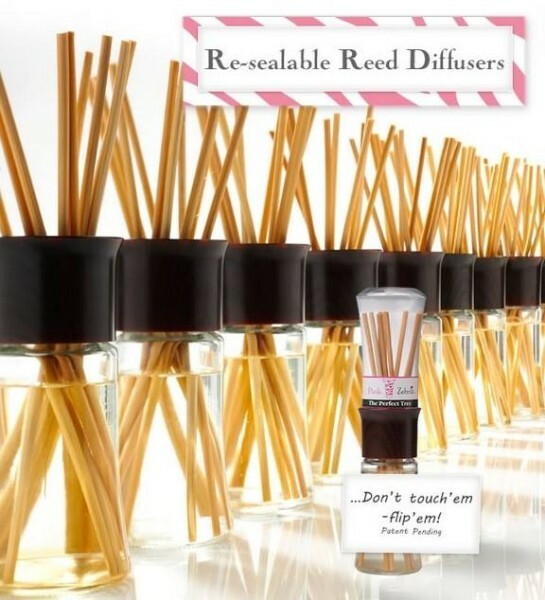 Reed diffusers will last 3-5 months depending on the strength of the scent and where in your house you keep them.